Whether or not you have direct ties to Colorado Springs or to a media organization more generally, the news last week that the Colorado Springs Independent joined ProPublica’s national effort to document hate crimes is significant. 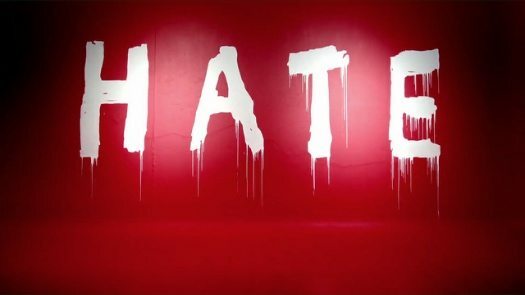 On January 17th, the New York Times Editorial Board ran an opinion piece entitled “Why We Need A Project To Document Hate Crimes” that cited the Southern Poverty Law Center’s observation of an increase in hate crimes as a reason that it would be joining Documenting Hate, along with a related interest in providing closer observation and analysis on these incidents. In this introduction, the Times highlighted brief descriptions that had come in to date via reports from ProPublica’s public database, law enforcement, nonprofit groups, and individuals and ranged from bomb threats to religious buildings to defacement of private property. Now, a weekly series dubbed “This Week In Hate” provides descriptive snapshots of incidents throughout the country with local and national context. Standing behind ProPublica’s stated goal, the newspaper emphasized the importance of tracking the prevalence of hate crimes and the need to examine whether their frequency or severity had changed since Trump came into office. There is a lot that is unsettling about the findings of this project, not the least of which is that new forms of bias and bullying are being observed even on the elementary school level. In a story last March, “Schools Face a Climate of Hate and Struggle to Respond,” Univision, a participating partner, highlighted details of related cases, including a fourth-grade student in Texas of Mexican origin who, according to his mother, was told by a group of students that they were happy that Trump had won the election because he would send the student back to Mexico. Univision also points to a New Yorker piece on the state of things in March when 2,100 students in Las Cruces, New Mexico, stayed home from school out fear of raids by Immigrations and Customs Enforcement. After working in D.C. museums and teaching high school in NYC and D.C., Anne now works with small, education nonprofits as a consultant on communications and fund development projects. Recently, she had a chance to talk with some local college students who are in the process of setting up their own literacy nonprofit to support a neighborhood school which served as a valuable reminder of the exciting sense of possibility that exists within the sector.